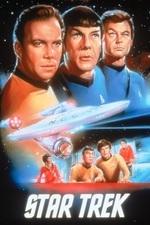 Captain Kirk hunts for a creature from his time aboard the U.S.S. Farragut. The crew must try to understand the strange entity that feeds on human blood. "Obsession" was broadcast on December 15, 1967. It is episode No. 42, production No. 47, written by Art Wallace, and directed by Ralph Senensky. This episode deals with several human emotions: guilt, fear, obsession and, ultimately, redemption. While Captain Kirk is the primary focus, the viewer sees glimpses of these emotions in other members of the ship. At various times the "fight or flight" instinct is shown as an internal battle which one has to overcome in order to find emotional peace. Episode reviews at Tor and Trek Movie.